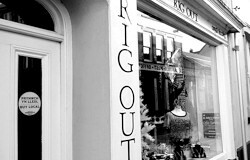 Rig Out Boutique is situated in the market town of Llandeilo. A haven for ladies who love the buzz of a market town, and the attention to detail of our staff when choosing that special outfit. If you have an upcoming event, please visit us for that unique experience.